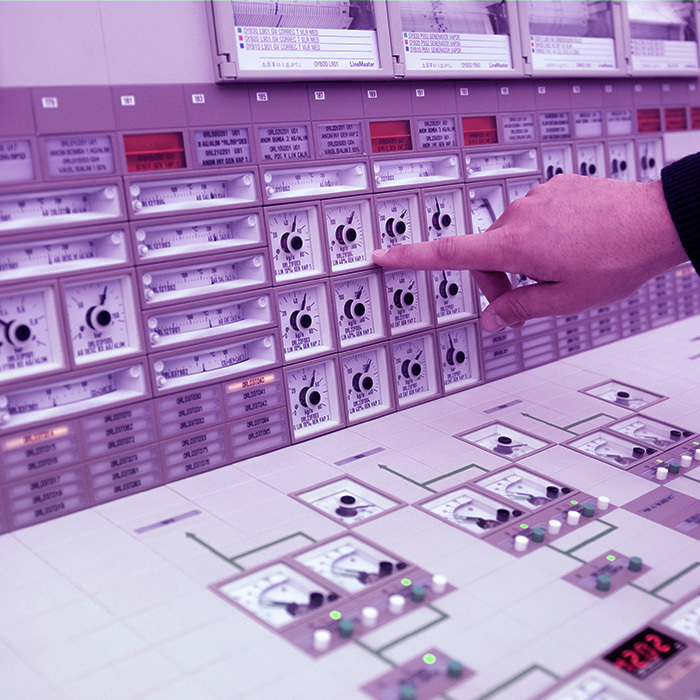 Nuclear control rooms are critical elements in plant safety. They are a space which store all the necessary controls and information for the secure operation of the plant. Operators control all the important plant equipment from these rooms. Nuclear plant control rooms are also prepared for operators to deal with any eventuality that may arise, whether that be routine surveillance operations, maintenance or even emergencies and serious accidents of any type, be they internal or external such as natural disasters. The reactor operator, turbine operator and supervisor can usually be found in a nuclear plant control room. All three have an operational position that centralises the necessary controls and information so that each of them can undertake their operations securely and efficiently. Signals are transmitted to the control rooms from each system and piece of equipment contained in the nuclear plant so that the operators can perform their necessary tasks. This allows for information from multiple equipment located in different parts of the plant to be received in one sole location, and for them to be operated from said location. We aim to combine our engineering capabilities with our nuclear plant operational experience. This allows us to offer our clients solutions which are especially adapted to their needs, all of which are endorsed by our 60 years of experience. Supplying a control room for a nuclear plant is a complex project which includes diverse disciplines that require a broad skillset. These skills include the research of human factors engineering, design (electrical and mechanical), equipment and instrument classification, manufacturing, testing, supply and installation. Our services also include the design of operation, verification and validation interfaces, the integration of a distributed control system (DCS), the upgrading of instruments, cybersecurity, licensing support and training. The prestige we have acquired from over three decades of control room supply to the international market has allowed Tecnatom to contribute to international forums and specialist work teams from the IAEA, NRC and EPRI, as well as others. This experience allows us to continue to offer state of the art products and services, with our own technology which meets the standards demanded by the markets. Our experience over the last few years includes the comprehensive design of over 25 control centres, including 20 key control rooms for nuclear plants in addition to the 80 human factors engineering, instrumentation and control projects executed in the Americas, Asia and Europe. There is currently an operation model change taking place from an analogue instrumentation model to a digital operation with large information screens, digital instructions and operation screen controls. Tecnatom is a leader in this digital transformation by means of the incorporation of new concepts for the supply of control rooms and the update of existing control rooms with the inclusion of technology that best meets the operation philosophy of each plant. To do this we use advanced techniques in human factors engineering (HFE), electrical and mechanical design and nuclear category classification in accordance with stringent international regulations and the highest quality standards, which are certified in over 40 countries. 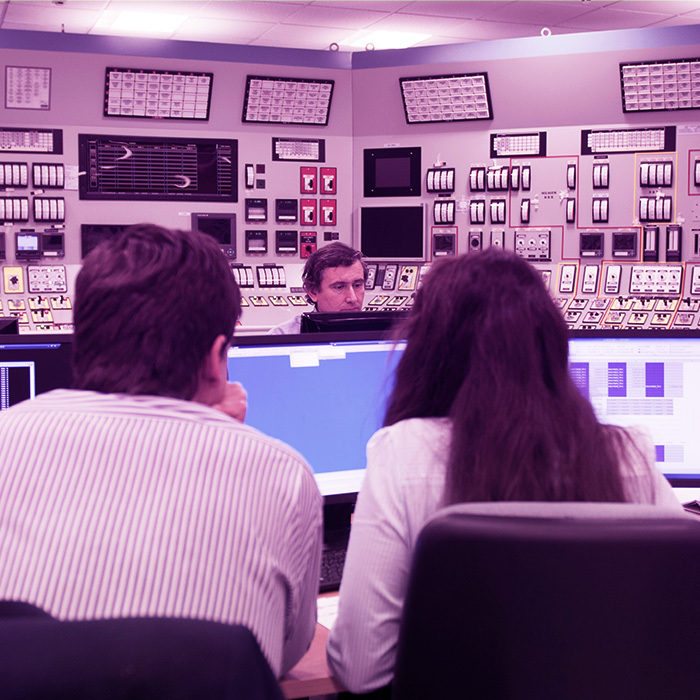 As a result of our international experience, we supply advanced, digital control centres which are designed to be operated to minimize human error, providing solutions that increase safety and efficiency of nuclear plants.